In these turbulent times, it’s good to know that you can still rock away your cares with something as simple as the good old-fashioned rocking chair. 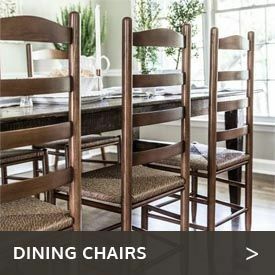 At Cedarwood Furniture, we carry a selection of top-notch Western red cedar wood outdoor rocking chairs that will be with you for years to come, through good times and bad. The natural oils in cedar mean these chairs will last through rain, sun and practically anything else Mother Nature can throw at them. 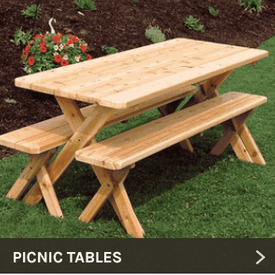 These rockers are available in a variety of styles, ranging from simple, old-fashioned outdoor rocking chairs to cedar Adirondack rockers that feature the famous Adirondack back and seat slats and wide, comfy arms. They are made in the U.S. or Canada of premium Western red cedar with sturdy hardware, so you can rock on without worries for years to come. Most of these rockers are available unfinished or stained and sealed. 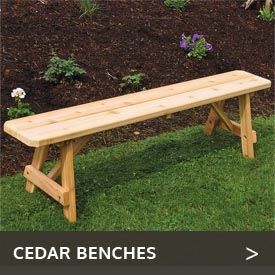 For even more comfort, consider ordering one of our cedar rocker sets and collections that come with accessory pieces like side tables and footrests.